Sir Donald Bradman’s Summer Of Delight | Make Time For Sports. 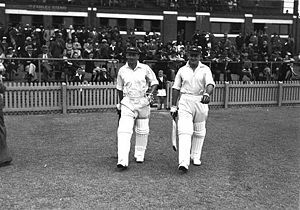 The closest all-time greats,to the phenomenon, are Wally Hammond aggregating 905 in nine innings in 1928-29 (England in Australia) and Mark Taylor eking out 839 in 11 innings in 1989 (Australia in England). Bradman needed just seven innings to secure his place in history forever. I had the good fortune to lay my hands on a copy of Hilton’s tome. Most admirers of the great Australian are aware of how the great spent his childhood hitting a golf ball with a stump against a curved brick wall. A wonderful way to sharpen one’s reflexes. What is not as well known is that Bradman was a decent tennis player. He chose cricket as his calling instead. Hilton has not elaborated further in his book. But tennis’ loss was cricket’s gain, in every sense of the word. 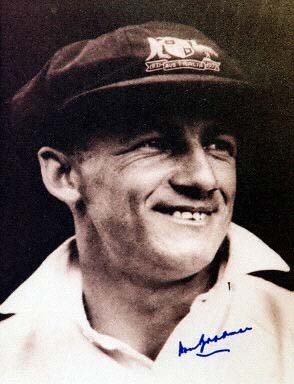 Bradman was selected to tour England representing Australia in 1930. Captain Bill Woodfull,Bill Ponsford,Bert Oldfield, Clarrie Grimmett,E L a’Beckett,Vic Richardson,Tim Wall,Charlie Walker,Alan Kippax,Stan McCabe, Archie Jackson,Alan Fairfax,Percy Hornbrook and Alec Hurwood. The players were paid £600 and signed a contract with restrictive clauses. The sum might seem a pittance by today’s standards but in those days the sum covered three year’s living expenses for a man, his wife and three children. Not a trifling amount by any means. The cricketers had to sign a draconian contract, of which one of the clauses indicated that none in the touring party would communicate with the Press any matters concerning the tour. Gagging players was practised by cricket boards, even then. It sure puts into context the hullabaloo around cricketers not being allowed to tweet during World Cup games. This clause was broken by the young Bradman—in spirit, though not in the letter of the law when he accepted payment for serializing his story to an English paper. 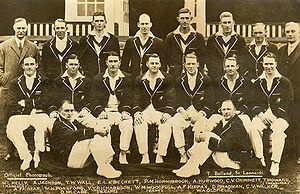 The account summarised his early years and the preceding England tour of Australia. Bradman was sharp—not just at the batting crease. Businessman Arthur Whitelaw also presented Bradman with a cheque for £1,000 in appreciation of his achievement of scoring a triple century in a Test—the only instance of a batsman making 300 in a single day. Bradman would have felt just at home in both the ODI and T20 formats. Fame,adulation and fiscal gains enjoyed by the young cricketer on that defining tour did not endear him to his team-mates. That he was exceedingly young—just 21— and found it difficult to deal with his new-found celebrity status was not taken into consideration by either his manager or journeymen. 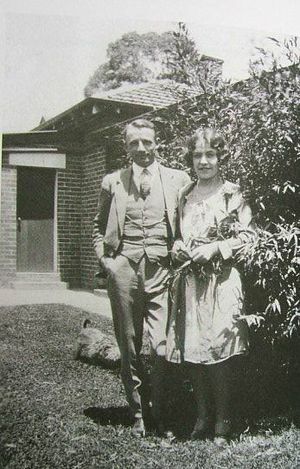 Neville Cardus—that great cricket writer who noted on his wife: “a great spirit and character, born for sisterhood not marriage"—witnessed Bradman for the first time against Worcester. A quote every coach ought to recall, from time to time. “Someone said that the great sin of the second half of the Twentieth Century was inefficiency. That’s a very contentious statement, to put it mildly, but you know what he meant. The days of beauty for beauty’s sake were going; you only have to look at the car designs, the architecture, the town plans, the offices,the clothes and so on to know that. The 1930 series brought the British Empire to its knees. It would never recover until 1954 despite the acrimonious Bodyline victory of 1932.